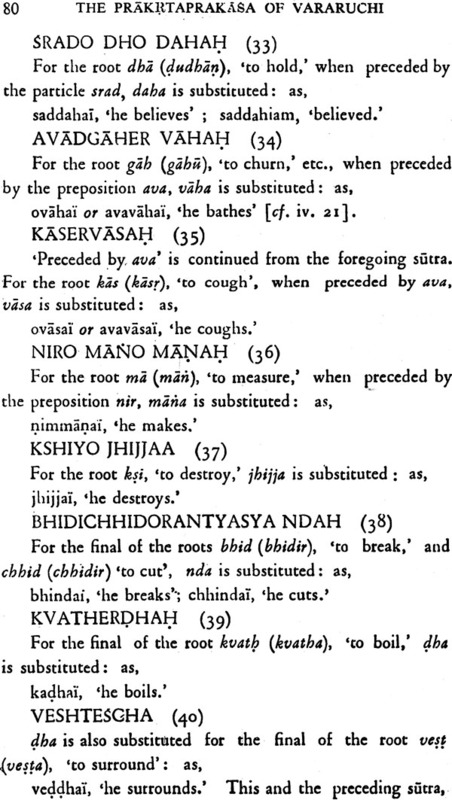 Prakrta-Prakasa or The Prakrta Grammar of Vararuchi,(with the Commentary (Manorama) of Bhamaha. Books > Language and Literature > Teach Yourself > Prakrta-Prakasa or The Prakrta Grammar of Vararuchi,(with the Commentary (Manorama) of Bhamaha. 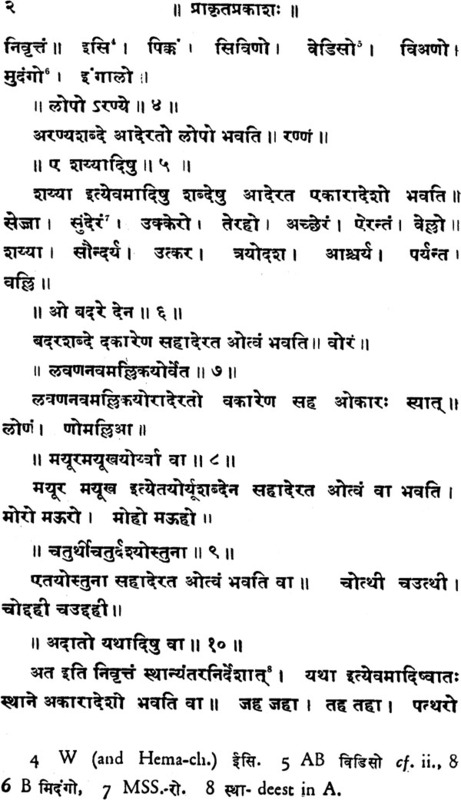 The Sahitya Darpana enumerates fourteen, Vararuchi four, while Lassen two such dialects. 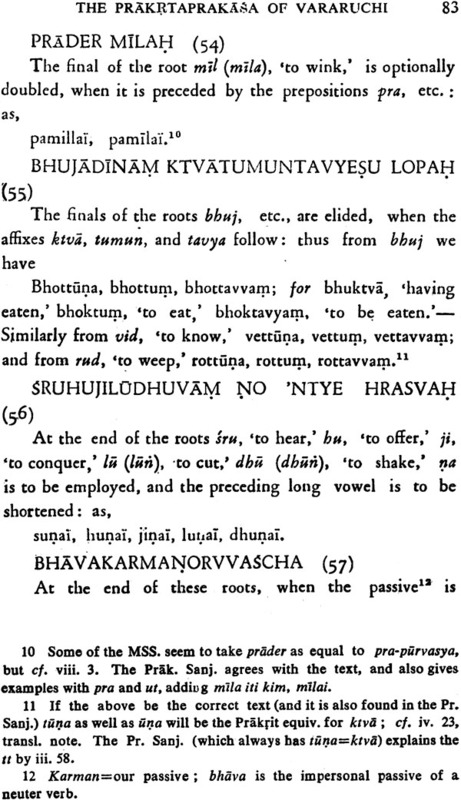 Here in this work Cowell edites with elaborate commentary, notes and translation the sutras or grammational rules of Vararuchi and thus introduces students to the study of this most interesting dialect as to a new language, and enables them for the first time fully and thoroughly to understand and appreciate the Sanskrt Dramas. I gladly avail myself of the opportunity of a Second Edition of the Pakrita Prakasa to make one or two corrections. I wish to cancel the remarks, in the Preface to the First Edition, on the Pali Grammar of Kachchayana and its identity with the Prakrt Grammar of Vararuchi. My mistake was first pointed out by Weber in a very kind review of my edition in the zeitschrift der Morgenlandischen Gesellschaft, To the scanty testimonies which I was able to give in my Preface to the previous edition in proof of the identity of Vararuchi and Katyanana. I can now add that of Sayana, who in his Preface to the Rg Veda (Muller’s) ed., vol. i., p. 36, 2) expressly ascribes the Varttikas on Paninn to Vararuchi. I have reprinted the first Sutra of the fourth section with its commentary. Prakrt is the general term, under which are eomprised the various dialects which appear to have arisen in India out of the corruption of the Sanskrt, during the centuries immediately preceding our era. 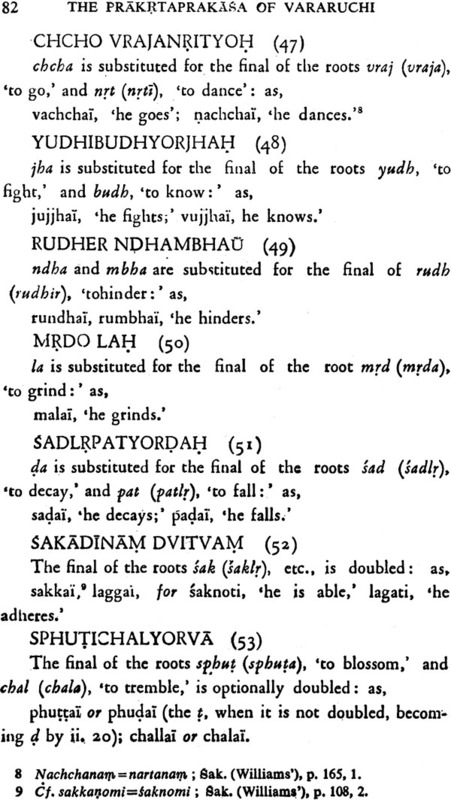 Their investigation offers much to interest both the philological and the historical student; for not only is a knowledge of Prakrt (and especially of the principal dialect usually understood by that name,) essential to the explanation of many forms in the modern languages of India – supplying, as it does, the connecting link between these and the ancient Sanskrt-but, while thus throwing light on the history of one branch of he Indo-Germanic family of languages, it affords many valuable illustrations of those laws of euphony, with whose effects we are curselves familiar, in comparing the modern Italian and Spanish with the Lalin out of which they sprang. At the same time Prakrt is closely connected with several deeply interesting historical questions. The sacred dialects of the Bauddhas and the Jainas are nothing else than Prakrt, and the period and circumstances of its transfer to Ceylon and Nepal are connected with the rise and progress of that religion which is professed by the principal nations to the north and east of Hindustan.’ When the Greeks, under Alexander, came in contact with India, Prakrt seems to have been the spoken dialect of the mass of the people. The language of the rock-inscriptions of King Asoka, which record the name of Antiochus and other Greek princes about 200 B.C., is also a form of Prakrt; and similarly we find it on the bi-lingual coins of the Greek Kings of Bactria. 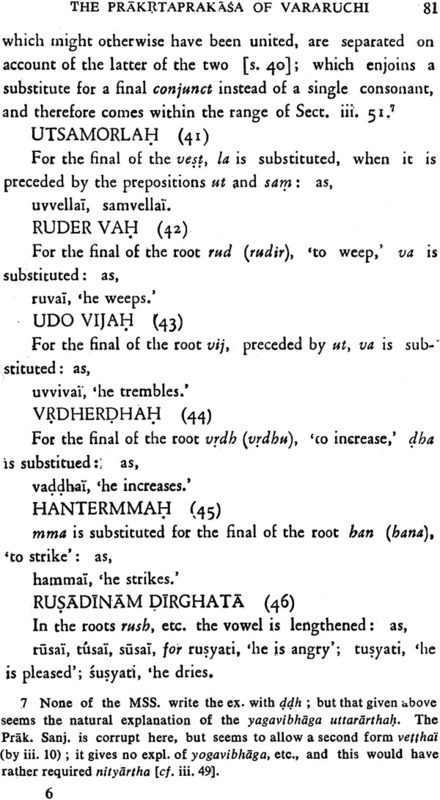 It also plays an important part in all the ancient Hindu dramas; for while the heroes speak Sanskrit, the women and attendants use various forms of Prakrt, the dialectical variations being more or less regular and euphonious according to the rank of the speaker. 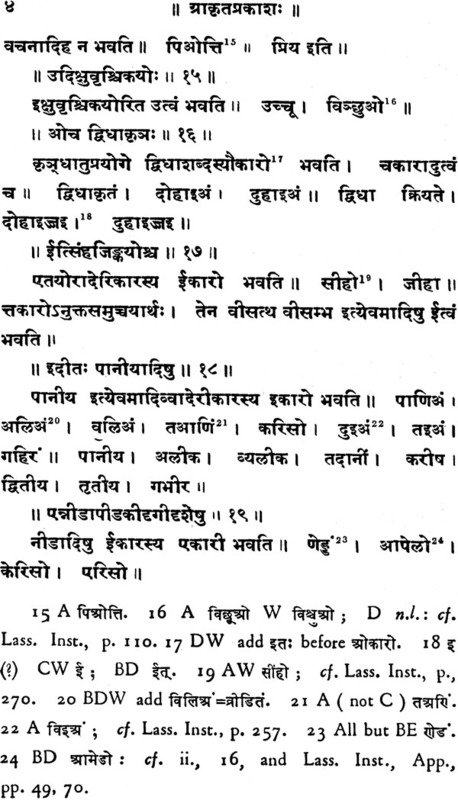 Varauchi appears to have been the first Grammarian who reduced these popular dialects to a system; and, if we may receive the Hindu tradition, he was one of the ‘nine gems’ who flourished at the court of Vikramaditya, King of Ujjain, whose great victory over the Saka, as they pressed onward towards India after overrunning Bactria, B.C. 56, is the traditional epoch from which the Hindus still date their Samvat era. The chronology of Sanskrt literature is extremely uncertain ; but there are several circumstances which, in this instance, tend to confirm the popular account, if we may assume, as settled, the identity of Vararuchi and Katyayana. For this identification, our chief authorities are the universal popular belief in India, and the direct testimony of Somadeva, a native of Kashmir in the twelfth century. 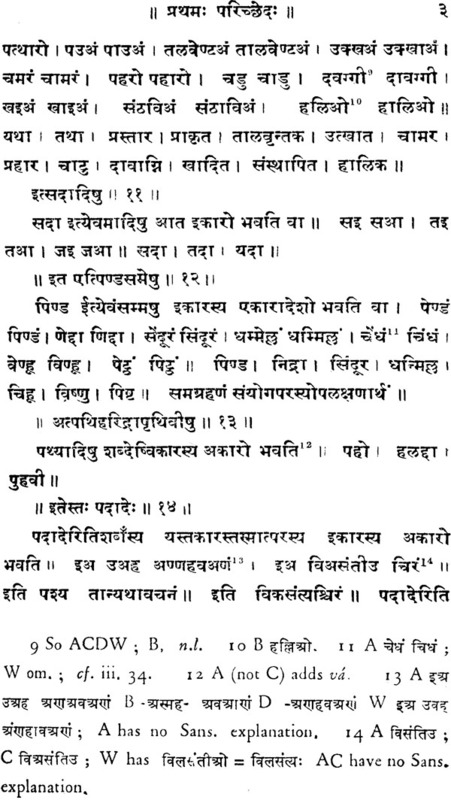 This author, in his encyclopadia of legends, called the Kathasarit-sagara, collected from various sources, and comprising a large portion of the mythological lore of the Hindus, expressly mentions them as the same person and uses either name indiscriminately. For the age of Katyayana, we have some independent testimony, which, though not precise, yet certainly throws his date far back into the past, and fixes it, at the latest, as anterior to our era. 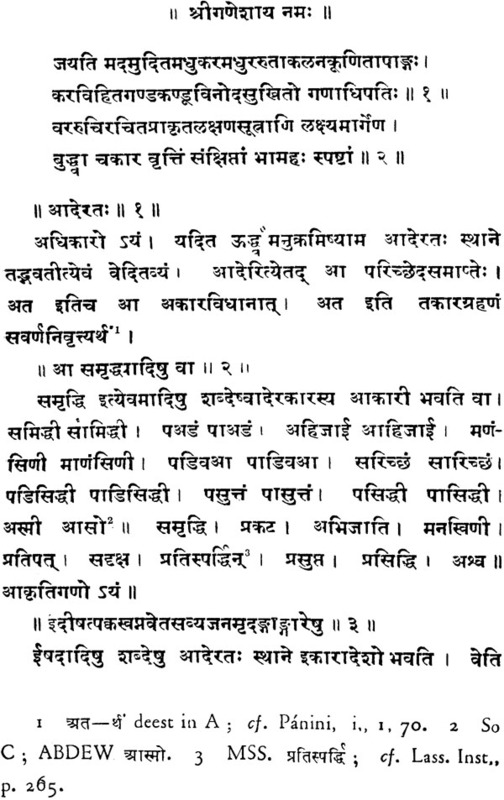 Katyayana has always been the reputed author of the Vartikas, or supplemental remarks on the ancient Grammar of Panini’ and both names are found in the accounts of the Chinese Buddhist Hiuan-thsang, who traveled in India in the first half of the seventh century of our era. Panini is called Pho-ni-ni, and described as the founder of music, which appears to be the nearest Chinese expression for a grammar-ian ; the passage relating to Katyayana is as follows: ‘Tchi na pou ti (erige par les Chinois), limite de l’Inde du Nord…Au sud-est de la grande ville, a 500 li, monastere de Tha mo sou fa na (foret obscure) ; la a vecu le docteur Kia to yan na, 300 ans après le Nirvana. Monastere fonde par Asoka.’ The Buddhist traditions in Ceylon all agree in calling the author of the earliest Pali grammar Kachchayano; and, although this is said to have perished, yet when we remember how very closely allied Pali is to Prakrt and that Kachchayano is simply the Prakrt form of Katyayana, there can be little doubt that the Prakrt grammar of the other, are only the Brahmanical and Buddhist versions of the same tradition. The following work of Vararuchi or Katyayana is certainly our oldest authority for Prakrt grammar; and its rules are generally quoted by later grammarians and scholiasts as par excellence the ‘Prakrta Sastra.’ Other grammarians have generally followed its system, and contented themselves with adding single rules, or altering the arrangement of its details. Much discrepancy exists between the Prakrt of the grammarians, and that which we find in the plays; and it is of great importance to have a complete edition ef the oldest grammarian, that we may ascertain, if possible, how far this discrepancy may be ascribed to the multiplied errors of ignorant, and the unauthorized corrections of learned, transcribers; and how far it may have arisen from a difference of time between the age of the poets and that of the grammarians, the dates of Sanskrit literary history being so uncertain.